Our contract range is the very best available of commercial furniture. Whatever your business, from 5 star hotel to small family run cafe, we can supply you with long lasting, quality furniture. We have ranges suitable for both internal and external use. We are also happy to supply public bodies such as councils or hospitals. As trade suppliers we do not sell direct to the public. We understand your business needs high quality, safe and long lasting furniture that will represent your business and impress your customers. It is why we have teamed with Nardi of Italy and are the sole UK trade supplier of this excellent range of top class furniture. We are happy to discuss your requirements and work with you to ensure you get the right furniture for your needs and budget. Who uses our contract furniture? Our contract range of garden furniture is very popular with hotels. From indoor or outdoor swimming pool seats and loungers, to patio tables and chairs or terrace/dining seating – we have your hotel covered! Our contract furniture range is also very popular with restaurants looking for sturdy and long lasting table and chairs. Our range can be used both indoors and outdoors and looks great, as well as being able to stand up to regular use in a commercial environment. 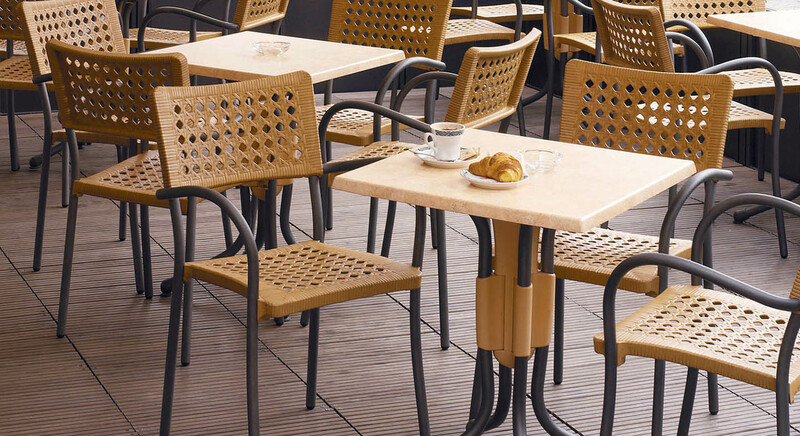 As with hotels and restaurants our contract range of furniture is also suitable both internally and externally with cafes. A very popular option we have is for outdoor tables and chairs suitable for high street use outside the cafe’s front. 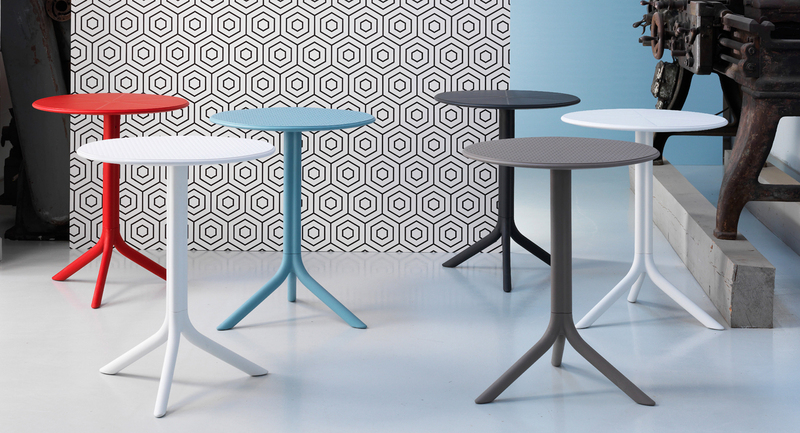 The picture shows just some of the tables available from our Nardi range of contract furniture. 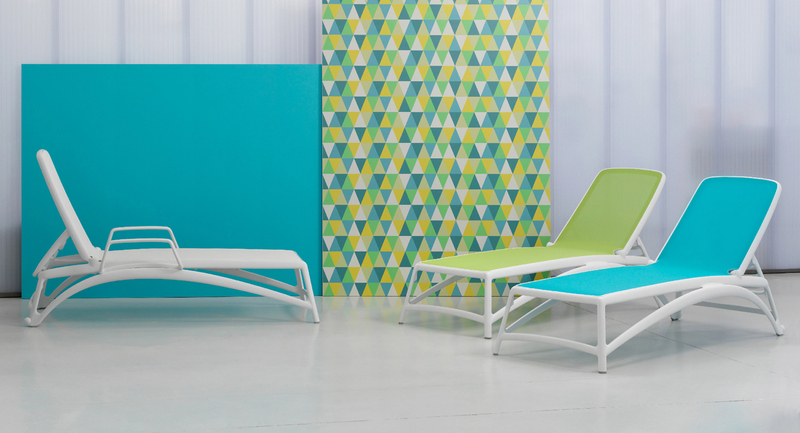 Perfect for the poolside or even just for the larger sun terraces, the picture shows some of the great contract loungers available within our Nardi range. 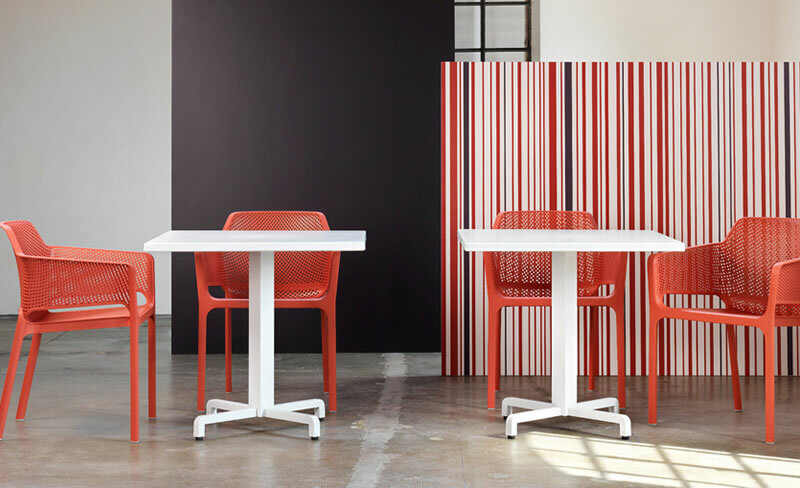 We have a large range of different styles of tables and chairs available within our Nardi contract ranges. Fromm ultra modern to more traditional design, all our furniture is of the utmost design and build quality! From cafe and restaurant chairs to outdoor pool loungers, our excellent resin garden furniture is of commercial use quality.